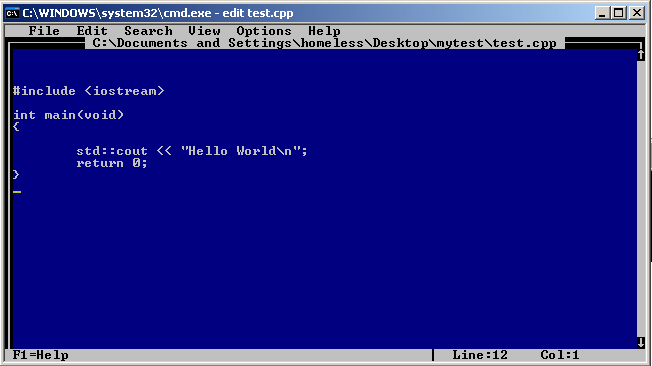 Using Borland® C++Builder™ Command Line Tools is a great way to start programming C and C++ applications. Unfortunately, configuring the tools so they work properly can be tiresome for newcomers. 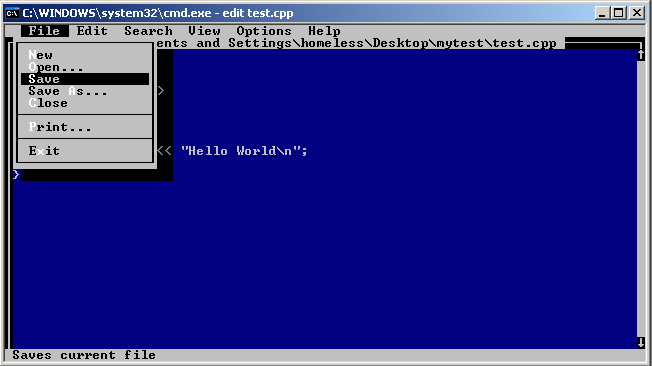 This How-To will take you step-by-step from downloading the tools to creating your first Hello World executable. Borland provides a readme.txt file in the distribution, and some more detailed information at their website that is intended to help you set up the installation. But since it is such a pain to find, and because they seem to keep renaming everything, I like to provide my version here. Installing, configuring and testing the tools takes 5 steps (each of these links goes to the appropriate section on this page). Set up some configuration files. Notes/Corrections: The links in this How-To were last verified on December 8, 2006. If the links are not valid, or you have corrections or advice for improvements, please contact me. Download the Borland® Compiler from the download page of borland.com . Just plop the file (freecommandLinetools.exe) on your desktop. This is the installation program. You can delete it after you have run the installation. NOTE: Before you can download the tools, you will have to create an account with Borland® (or log into an existing account). After accepting the license agreement, you will have the option of downloading the file using FTP or HTTP. If you use HTTP, Borland will make you download a downloader to actually get the file. I would recommend using FTP if the option is available. Run the setup program. Just click the file (freecommandLinetools.exe) downloaded in step 1 and accept all the defaults. By default, it should install everything to C:\Borland\BCC55 (The rest of this How-To assumes this location). FYI: For the uninitiated, you should know that bcc32.exe is the main program used from the command line to compile and build programs. Lots of other files are installed: the standard C and C++ header files, object libraries containing the standard library routines, some help files, lots of example programs that most of us will never even peruse, and a few helper programs like the linker (ilink32.exe) and the library manager (tlib.exe) and some oldies but goodies like grep, make and touch. Which would you rather type to invoke the tools? After the setup program is run (step 2), a whole bunch of executable programs are placed in a new directory : C:\Borland\BCC55\Bin. 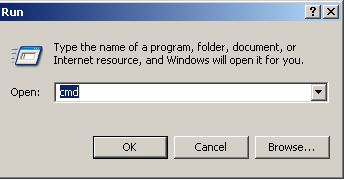 This step makes it possible for the Operating System (Windows) to find these new executables by name. If you don't do this, then you will need to specify the full path to bcc32 everytime you use it. Add the path to the C:\Autoexec.bat file. Windows NT is very similar to Windows XP. See Christopher Moeller's Supplementary Information page if you need step by step instructions. 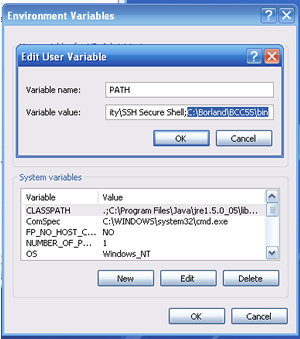 Note: The PATH variable may appear under both System Variables and User Variables. This How-To changes the User Variable. 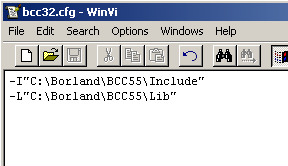 Next, you should create a configuration file for the bcc32 program that tells it where to find its libraries and include files. The alternative to performing this step is to provide this information on the command line every time you run bcc32. If you can perform the following tests, then you know that your environment is set-up correctly. That way, when your program won't compile a week from now, you know that the installation is not the issue. FYI: IF you are going to be using Borland's Command Line tools, you need to be able to open a command shell in your sleep. 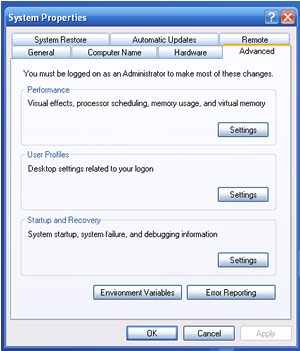 Luckily, it is only 2 steps and comes standard on all Windows Versions. To Exit this strange blue world, USE YOUR MOUSE to go to the file menu - save first! then exit! If they did, then YAY! You are done. Happy Coding. FYI: If you examine the directory where you just built your test program, you will see 4 files. 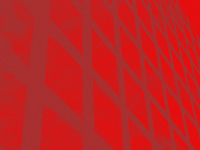 test.obj and test.tds are intermediary files, and can be deleted. IF you click on test.exe, a black window will pop up and disappear right away. 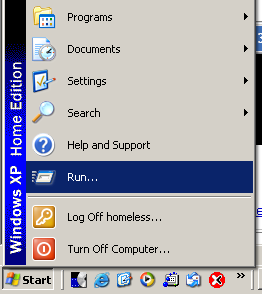 The window automatically closes when the application exits and is normal. Usually, you will want to open up a command prompt and run your programs from within instead of clicking on them. "Borland" and "C++Builder" are trademarks or registered trademarks of Borland Software Corporation in the United States and other countries. This How-To is independent of Borland Software Corporation and has not been authorized, sponsored, or otherwise approved by Borland Software Corporation.